We’re delighted to tell you two very special garden varieties from Woman’s Weekly’s Shop have been shortlisted for Plant Of The Year at the RHS Chelsea Flower Show 2015. The dazzling dwarf raspberry cultibar Raspberry Ruby Beauty (‘Nr 7’) is perfect for small containers and our climbing Fuchsia ‘Pink Fizz’ is a mass of sugar-pink blooms. Our Gardening Editor, Adrienne Wild, is a big fan of Chelsea and is always excited about seeing new varieties on show. ‘Chelsea Flower Show is the highlight of the gardening year. For over 100 years, it’s wowed visitors, from home and abroad, with the best ideas, trends and style that horticulture has to offer,’ she says. ‘Of course, it’s the plants that are the stars. People don’t just admire the amazing variety, but also how the plants are persuaded by their expert growers to be at their best (sometimes out of season) for one week at the end of May. ‘Visit the event and you’ll find over 600 exhibitors competing to show off their horticultural talents and vying for a coveted Gold Medal. 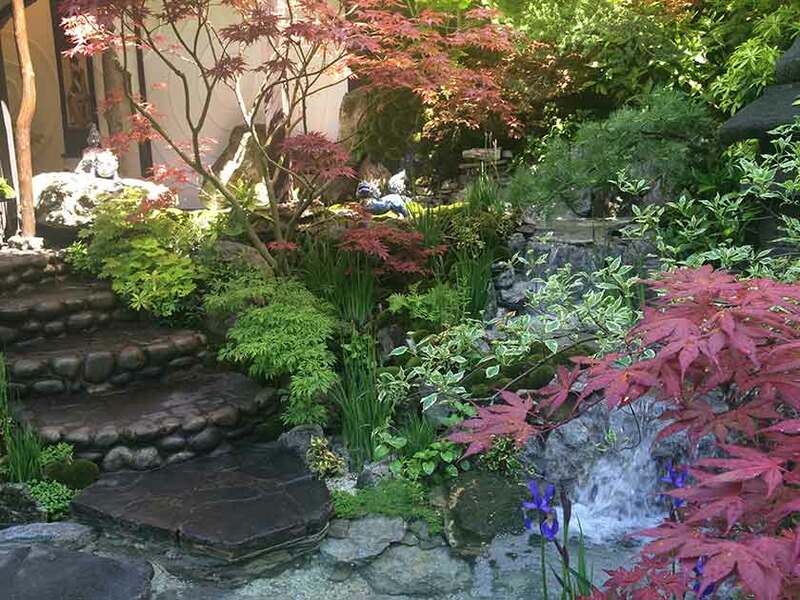 You’ll get a first glimpse of gems being launched by plant breeders, and see emerging design trends – giving you inspiration for everything from great plant combos to the latest look for your patio. Prince Harry – his charity, Sentebale, will have a garden inspired by the Sentebale Mamohato Children’s Centre. It provides residential camps for children affected by HIV and AIDS in Lesotho, Africa. The garden aims to give visitors a taste of Lesotho with a rock/waterscape feature that represents the area’s mountainous terrain. The main sponsor of 2015 Chelsea Flower Show, the M&G garden has been designed by Jo Thompson. It will be a quintessentially British retreat with a two-storey oak framed building, a large natural swimming pond and a display of tumbling roses and peonies. The triangle garden, which can be viewed from all three sides, has been designed by Dan Pearson for Champagne house Laurent-Perrier, capturing the spirit of Chatsworth estate in Derbyshire. 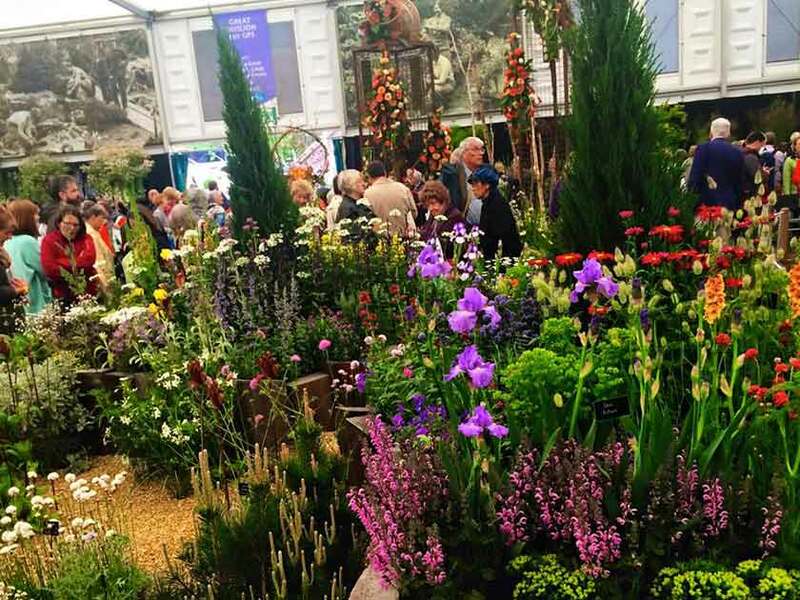 The RHS Chelsea Flower Show runs from 19-23 May. For more info about the RHS, and to book tickets for its Shows, visit rhs.org.uk or call 0844 338 0338. 1862 The Royal Horticultural Society’s first Great Spring Show – the forerunner of RHS Chelsea – was held in the RHS garden in Kensington, before moving to Temple Gardens (and becoming known as The Temple Show) in the heart of London, where it ran until 1911. 1912 The great nurseryman, Sir Harry Veitch, secured the grounds of the Royal Hospital, Chelsea, for a one-off show. 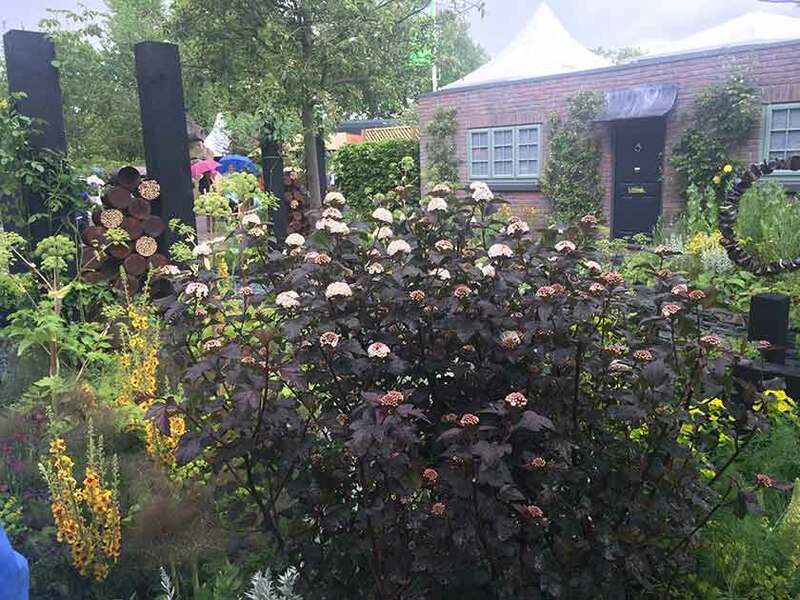 It proved such a good site that the Great Spring Show was moved there in 1913 (the start of the Chelsea Flower Show as we know it), and has taken place almost every year since. 1914-1918 Despite the First World War, the event was held in 1914 and 1916, but not in 1917 and 1918. 1926 The Show opened a week late due to the General Strike. 1932 A summerhouse was demolished by torrential rain; this year is often referred to as ‘The Chelsea Shower Flow’. 1937 King George VI and Queen Elizabeth celebrated their Coronation Year, and to mark the occasion, an Empire Exhibition was staged, complete with a prickly pear from Palestine, pines from Canada, and gladioli from East Africa. 1940s Chelsea was cancelled during the Second World War, when the hospital grounds were used as an anti-aircraft site. 1951 The Great Marquee was pitched for the first time. It was the world’s largest tent, measuring 3.5 acres. 1956 Flower-arranging was allocated its very own tent. 1958 BBC coverage of the show began. 1988 Attendance became so popular that a cap of 157,000 visitors was put on the event. 2013 In the Show’s 100th year, the famous ban on garden gnomes, usually deemed too tacky to display, was lifted (for one year only). There are around 250 stands across the site and 100 exhibits in the Grand Pavilion. It takes 800 people 33 days to build the show from bare grass to glorious displays. In 2014, visitors to the show drank 1,150 glasses of champagne, 6,400 glasses of Pimm’s and 10,560 hot drinks, and ate over 10,000 portions of fish and chips! The Grand Pavilion is roughly 11,775 square metres – big enough to house 500 London buses. The annual cycle of planning lasts 15 months, which means arrangements for next year’s show have already begun. On average, 165,000 people visit the Show each year. 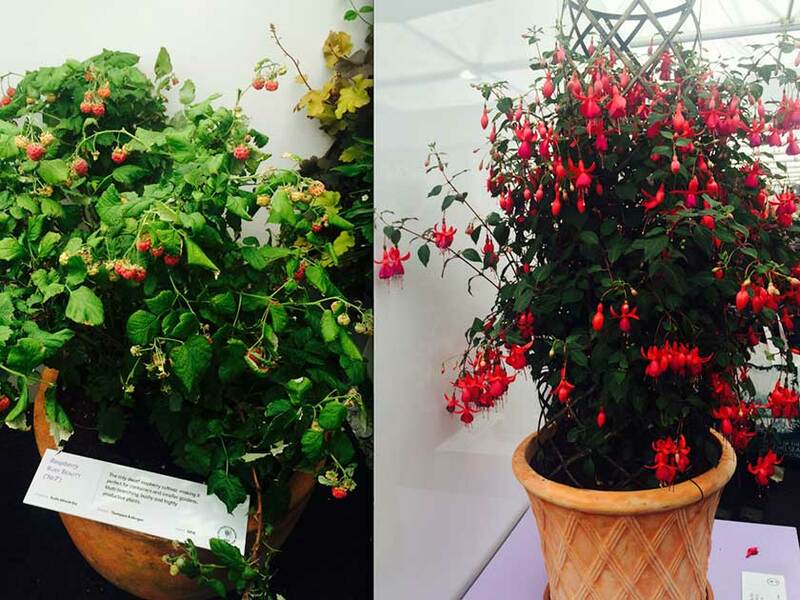 Visit our website to order either of our plants that were shortlisted for Plant Of The Year. Whether you would like our Raspberry Ruby Beauty (‘Nr 7’), or our Fuchsia ‘Pink Fizz’, it’s simple to place your order online, and, your plants will be delivered straight to your door.